It was not obviously the Freshers who were involved in the brawl or violence, but their ‘esteemed’ seniors. These are the people, according to the Vice Chancellor, who are supposed to be the future “eminent scholars, scientists, administrators, teachers and software engineers.” Most amusingly, when you look at the pictures of the brawl, one cannot identify a Sinhalese from a Tamil. I am not condemning the violence in that faculty or that university alone. This is the situation unfortunately in many universities and the country at large for a long-long period. This insanity of violent conflict is also not peculiar to Sri Lanka alone, but common in many countries involved in perceived and actual conflicts of many varieties. Look at what Mohamed Bouhlel did on the Bastille Day in Nice, two days before the Jaffna incident, on the 14th. He took his delivery truck and rammed into innocent bystanders, killing 84 persons including 10 children. ‘Frustration-aggression theory’ should not justify insane violence. There are democratic ways and means available particularly to the educated youth to resolve their disputes, whatever the existing defects. It is our own duty to improve them, if they are defective. Most alarming and dangerous in this particular incident in Jaffna is that it transpires not only juvenile insanity like in many episodes of university ragging or group violence, but much more with possible future repercussions. This conflict was waged with stones and sticks (like in the stone-age!) pretentiously on behalf of millions of ‘innocent and peace loving people’ belonging to the two main human communities in the country, the Sinhalese and the Tamils. I am not condemning one group against the other. Both groups should be condemned equally, for being responsible for the unwarranted confrontation and consequent violence. Both groups, on the other hand, may be excused, if they genuinely repent, apologize and reconcile, given fortunately the minor character of the incident. It is not the dispute per se that should be condemned, but its modus operandi or the resort to violence which has not at all resolved the dispute. Disputes are normal part of life although when you come to think about most, they are generated by created issues than real ones. Politicians of all sides are the culprits behind these creations who thrive or try to thrive on these conflicts, but most often fail themselves at the end. This is the actual danger of the last weekend’s event. After the event, the extremist politicians and the extremist media outlets/channels on both sides seem to work overtime not to appease but to exacerbate the conflict. They should be condemned more than the students. The immediate dispute seems to be trivial compared to many issues underpinning various challenges confronting the country or the university students on reconciliation. A ‘main’ challenge seems to be the language, and thus the communication and the cultural barrier. Even that cannot be a major one because they all study in the English medium. Sinhala and Tamil (also Muslim) students have been studying ‘together’ in this faculty now for over five years. I wonder whether there had been any ‘love affairs’ (I mean between men and women) leading to inter-marriages! As reported by some, if the request to include Kandyan dancing in the welcome procession was made at the last minute, then the Sinhalese students should have understood the reluctance or the refusal, and satisfied with its inclusion on the stage after the arrival of the new students at the auditorium. If the introduction of ‘Thavil and Nathasvaram’ were a new item of the welcome ceremony this year, then it is also natural for the Sinhala students to be weary that their ‘Dance’ was not included. Perhaps this new inclusion was part of a ‘cultural assertion’ of the Tamil students, having seen the ‘cultural intrusion’ of the Sinhalese at Wesak and Poson ceremonies, let alone the ‘Sinhala-Tamil New Year’ in the Sinhala style. There seems to have been some interesting cultural competition going on between the two groups in recent times. This is where the ‘science’ students have gone ‘unscientific.’ But three years back, in 2013, they even had a ‘Couple-Dance’ welcome party for the new students, nothing to do with the traditional Tamil or the Sinhala culture! But who started the ‘aggression’ first is a typical chicken and egg question. It is unfortunate, because, culture particularly in the Sri Lankan context is considered a uniting factor compared to the language. “To produce intellectual, professionally competent and capable graduates to meet the emerging needs of the national and international community, with a special emphasis on the social, economic and cultural needs of Northern Sri Lanka”. (My emphasis). The evolution of the University of Jaffna is clearly discernible in two or three stages. The first one was during (our senior friend) late Professor K. Kailasapathy’s time, as the Vice Chancellor, and the origin as a Campus of the (one) University of Sri Lanka in 1974. He was a great scholar with ideals, values and humanism. During this period, the university was a multicultural center with immense respect for the Jaffna culture from the Sinhalese and the Muslims alike. Then came the second stage in 1979, where independent universities were reinstated back in the country and the University of Jaffna was formed under the Universities Act (1978) with relative autonomy. This was the aftermath of violence against the Tamil community in 1977, not to speak of the Vaddukodai resolution, and as a result the reconstitution of the university had a clear imprint of Tamil nationalism. Apart from the mission statement quoted above, even the crest of the university had ‘Nanthi’ (the bull), the symbol in the flag of the Jaffna Kingdom at its center. This is not unusual as many other universities in the South having the ‘lion’ (i.e. Peradeniya) or Buddhist symbols in their crests. Perhaps it was a third stage that was intended after the end of the war in 2009, by sending Sinhala students back to the University of Jaffna, rather haphazardly and without much planning or creating necessary conducive conditions. On the other hand, there has been much goodwill, as far as I know, from the academic staff, particularly in the Faculty of Science to invite Sinhala students. However, this is apparently not the case in other faculties or among the non-academic staff. In this context, having 60 percent of Sinhala students in the faculty is undoubtedly overbearing and an invitation for trouble. There are Tamil students in other universities in the South, but as far as I am aware, there has been no much resentment when Tamil cultural events are held. The main reason being that the holding of these events perhaps have not been raised as a matter of pure right. In major ceremonies, however, Tamil or Muslim cultural events are also not accommodated. As Ven. Galkande Dhammananda Thero has rightly explained “in any university, due prominence is always given to the respective university’s cultural background” (Colombo Telegraph, 22 July). This also shows that even the ‘rights’ should be claimed or raised in a responsible manner or otherwise those can lead to unnecessary conflicts. Cultural rights by nature are sensitive issues. This should not mean that ‘multiculturalism’ should not prevail at the University of Jaffna or any other university. But ensuring multiculturalism, particularly after a long drawn out war, is a process and all sectors should act with utmost responsibility in this process. 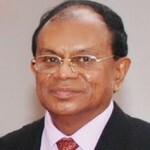 What should be condemned forthright of the Jaffna University incident is not the dispute (however humorous! ), but the violence and the confrontation.